Location: Arpajon-sur-Cére, in the Cantal departement of France (Auvergne Region). Ownership / Access: Not open to public. Notes: The Château de Carbonat is located in Arpajon-sur-Cere in Cantal. Gradually fell in ruins, it was extensively restored in the early twentieth century. It was once used to protect the Northeast entrance of Aurillac basin. It has terraced gardens to the French and a remarkable park. 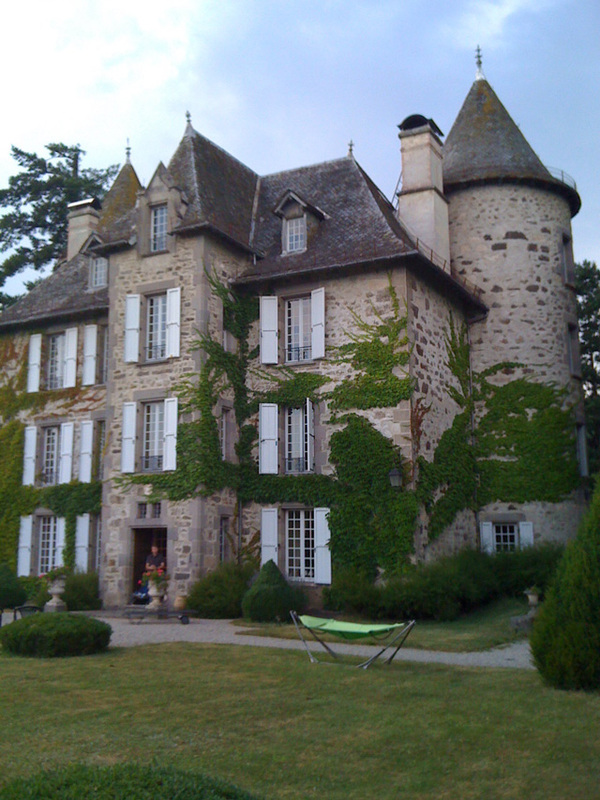 The castle, dilapidated, has been changed around 1905, under the influence of the Belle Epoque. The stones had been hidden by the plaster and the bulk of origination windows had been walled. New works were undertaken by Chastres family since 1950. The park has been abandoned completely refurbished in "terraced gardens to the French." Interior and exterior work was then spread over more than 15 years. The windows were reopened and some windows replaced with stained glass. It was also at this time that the delimitation of the land was carried out with the construction of a wall and a gate at the entrance of the park. Almost all stones used for buildings and walls from a nearby quarry, the Puy de Vaurs. The park of the castle, with an area of ​​15 000 m2, mainly planted with conifers, with some reaching more than 30 meters high. Carved boxwood cones, hedges, statues and basins make up much from the outside. The outbuildings have a greenhouse, a dovecote, a smithy and an orchard. The gardens are also home-ground pool in 1962.